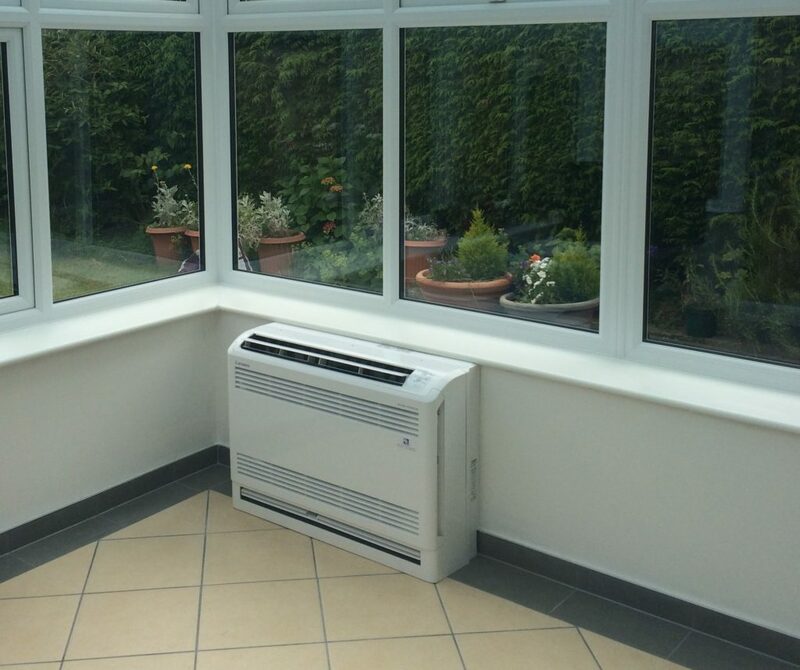 We installed a floor mounted Air Conditioning system as the conservatory was dwarf walls all the way around. This kind of system is ideal for conservatories of this design. Sits snugly under the window frame and links to the outdoor condenser which can be positioned in a discreet position as directed by the customer.